You can create a template out of many assets in your project. You can create templates from the Camera, Thumbnails or the Timeline view. From the Stage view, you can create a template from a panel’s layer or a selection of layers. Note that if a motion was created on the selected layer, it will be included in the template. From the Thumbnails view, you can create a template from an entire panel. 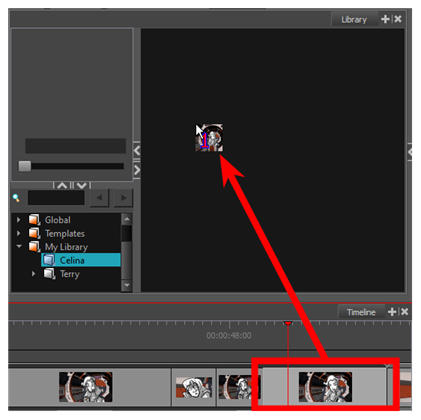 Note that if there is a layer or camera motion in the selected panel, it will be included in the template. From the Timeline view, you can create a template out of an entire panel or a sound clip. 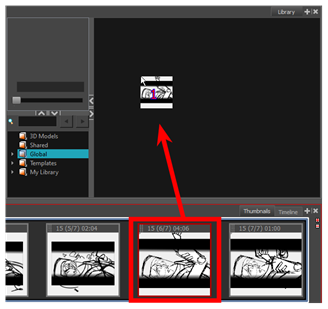 Note that if there is a layer or camera motion in the selected panel, it will be included in the template. In the Library view, select a folder to store your template. In the Stage view, select one or more layer tabs and drag them to the right side of the Library view. In the Rename dialog box, rename the new template. If you want to rename a template after it is created, right-click it and select Rename. In the Thumbnails view, select a panel and drag it to the right side of the Library view. In the Timeline view, select a panel or sound clip and drag it to the right side of the Library view. In the Rename dialog box, rename the new template. If you want to rename a template after it is created, right-click it and select Rename.